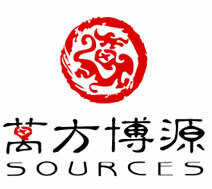 Beijing WFBY Co., Ltd.,from 2003 the company established, registered capital of 10 million yuan, after Sixteen years of joint efforts, has developed into a a comprehensive standardization of the advertising company, and gradually formed a set of effective business philosophy and service standards. Adhere to "people-oriented, honest, common development and achieve win-win" business philosophy, in customers and strive for the customer benefit maximization, and strive to customers for the cost minimum, truly a customer input we push very hard, and strive to effect. Reference of large domestic and foreign advertising companies advanced concepts, so that the concept of internationalization, the implementation of the localization, so we in the customer service process, efforts to strengthen self construction, with customers common progress and development. We gather a group of professional advertising planning personnel, can according to the customer demand, for you to provide creative design, households and outdoor advertising, large-scale exhibition hall exhibition and stores a full range of services, for your business rapidly expanding market, deepen brand communication efforts to provide the most powerful support.